Just the other day, I was asked by a mother of a teenager for apps that are good for texting on an iPod Touch. Teenagers regularly try to make their iTouch as close to an iPhone as possible. Enter a gadget that can assist with that and then some. 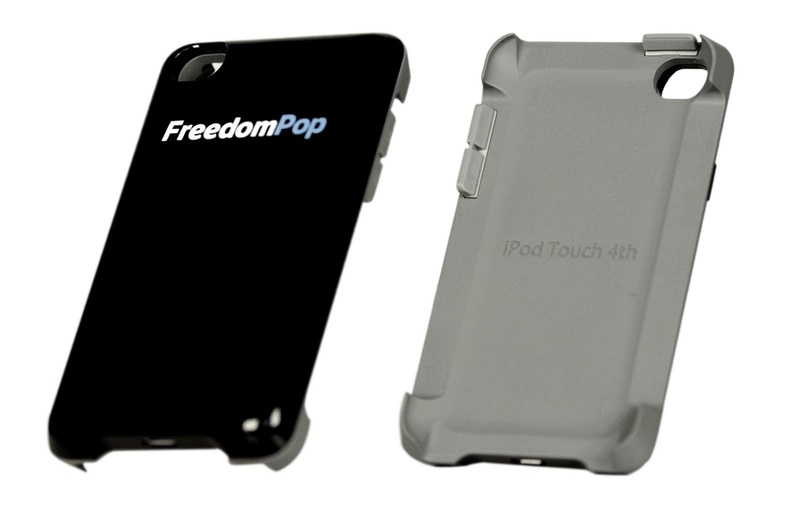 FreedomPop’s 4G iPod Sleeve, the latest in their lineup, basically turns an iPod into an iPhone without all that monthly contract business. The $99 sleeve provides a free 4G connection, and for non-techies, that just means you will have a super fast signal to make calls, text, and download videos from YouTube all on the go without having to rely on a wi-fi connection. The sleeve can also work as a hotspot allowing up to 8 devices to connect. FreedomPop works off Clearwire’s 4G network and is scheduled to launch in early 2013. FreedomPop is also currently taking pre-orders for an iPhone sleeve announced in May for $99. Very cute...I want an Iphone so I can get a fun case for it!